Catie and I want to express our thanks for your support and encouragement during the course of the campaign. It was a privilege to work with so many people whom we admire, and we could not be more grateful. If our 2013 photo is a little more formal than usual, that’s because it was taken at a fundraiser, which ended up being just about our only time together as a family! 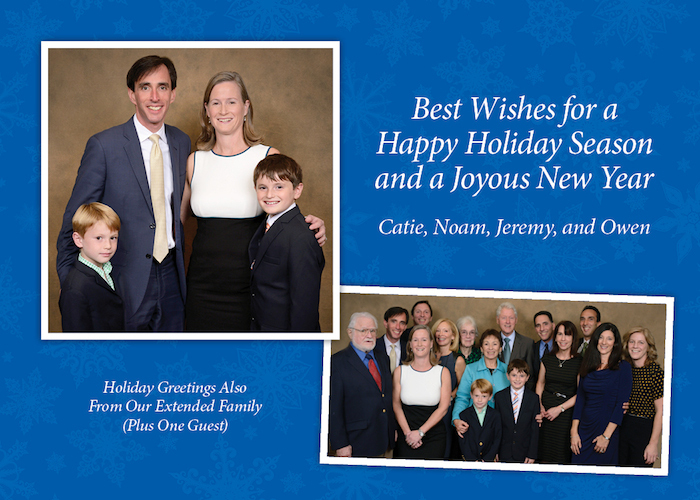 We’re hoping to see each other a bit more often in 2014, and hope that for you and yours the coming year will be filled with health and happiness.